In the side mission Missing Souls you are introduced to the Missing Persons objectives. 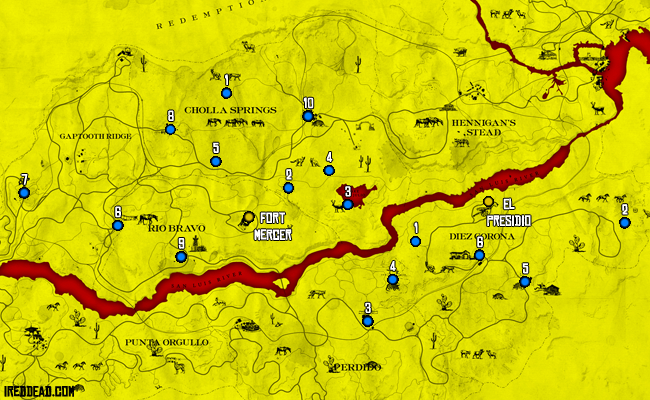 Posters are found in the safe zones Fort Mercer and El Presidio featuring a missing person. Upon taking the poster the location of the person will appear on your map. Go to their location and fight off the zombie hordes. When enough zombies have been killed the missing person will feel safe enough to leave with you. Mount your horse and allow them to hop on. Fight off the remaining undead and head back to the safe zone you obtained the poster from. During the ride back to the safe zone you will encounter two additional hordes of zombies. They will either be across the road or rise up from the ground in front of you. Avoid them or wipe them out. At the safe zone a horde of zombies will block you from returning the missing person so you will need to kill them all in order to complete the task. A few survivors will help clear the gate so be careful of friendly fire.